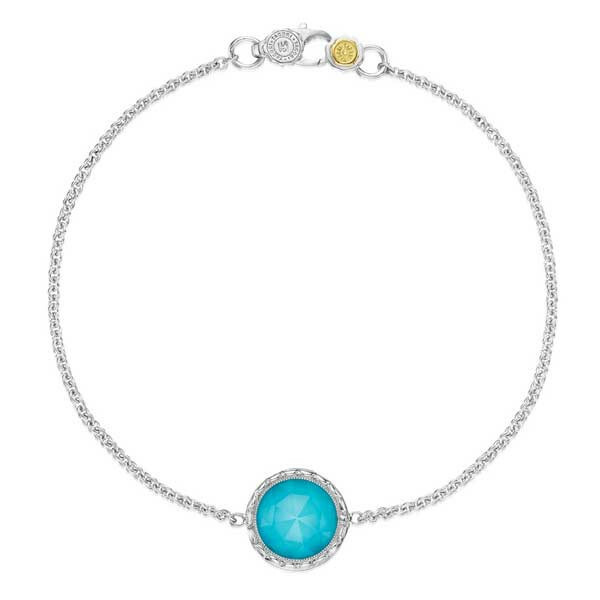 This Tacori bracelet from the Island Rains collection places a droplet of blue on you! A gorgeous neolite turquoise is layered with clear quartz and set in sterling silver with a signature crescent design. It's stationed on a strand of link chain. Let this irresistible bracelet from Tacori add a touch of vibrancy to your look.